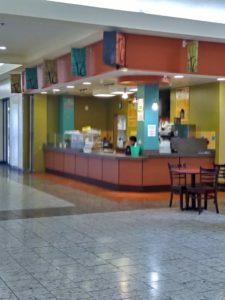 I’m sure that you received the message in part one that everything you need for sustainability can be found at Eastmont TC. Your problem with or question about food, money, clothing, housing, medical/dental/mental health or assistance with your aging family member(s) were practically eradicated. Eastmont TC offers that and much more! 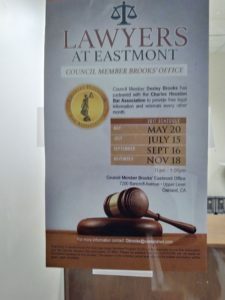 Lawyers at Eastmont, 2nd fl, is offered by the office of Councilwoman Desley Brooks every other month. Oakland Unity Middle School is tucked away upstairs too. 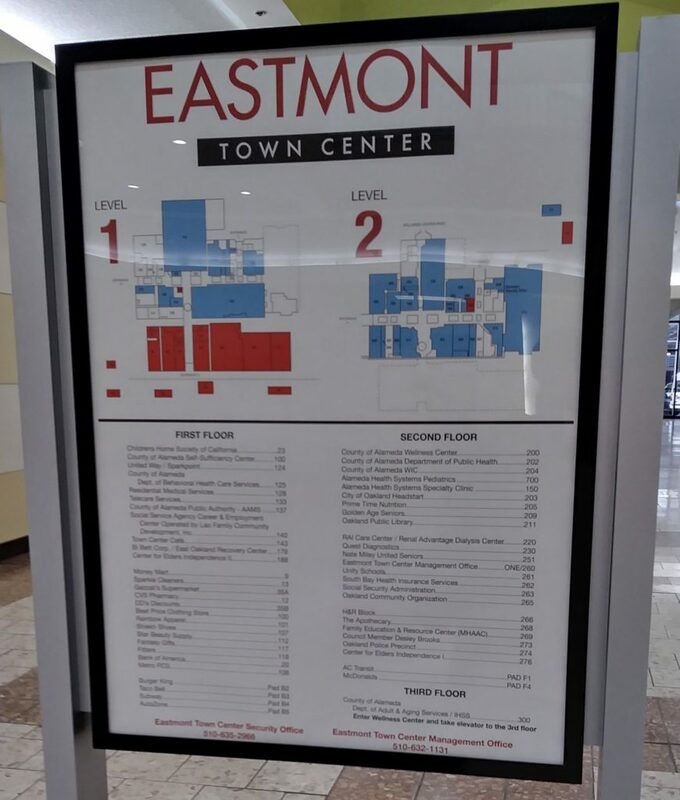 In the 80s, Eastmont TC was Eastmont Mall, with retail and department stores. Today only a few retail establishments exist: Rainbow Shops (see my article), DDs Discount Stores, with family clothing, household and travel goods, shoes and accessories; Fitters – urban clothes for men; Star Beauty Supplies, and Residential Medical Services, with home medical supplies such as support pillows, shower chairs, and walking aids, and H&R Block tax preparation services. Most of the stores and other establishments aren’t accessible from the inside, such as Autozone, Bank of America, Sparkles Cleaners, Nathan Miley Gardens Senior Apartments, Money Mart, with check cashing, loans and Western Union, Shiekh with family footwear, accessories, and apparel; and the fast food restaurants: McDonald’s, Burger King, Taco Bell; and a police substation – traffic division. 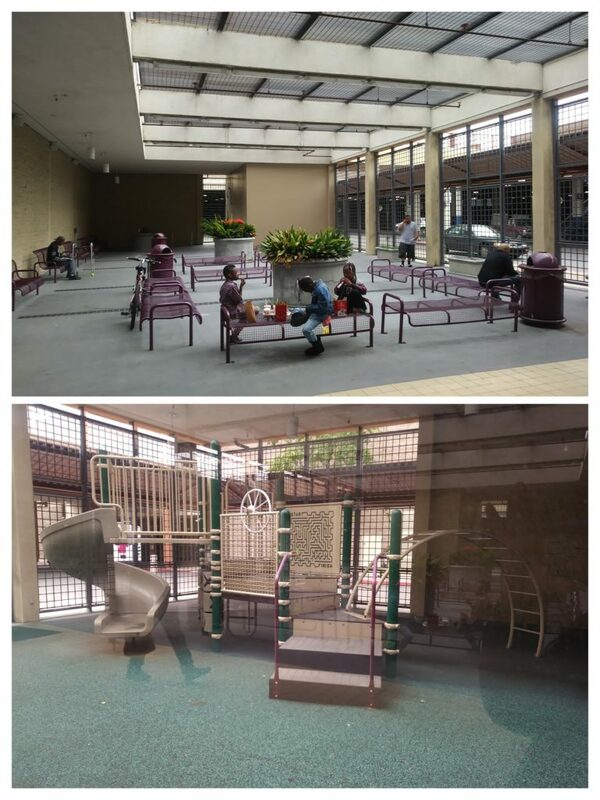 The mall is attractive but not for hanging out, although it has plenty of dead space with benches. The Homey Cafe has tables and chairs for their customers. The mall security office is on the 2nd floor; they’re occasionally visible throughout the mall. Almost every day you’ll find men selling bootleg tapes in the parking lot near Gazzali’s and companies offering Lifeline-covered cell phones blocking the sidewalks next to the 73 bus stop near CVS. There’s plenty of parking space and 15 buses stop at the transit center. 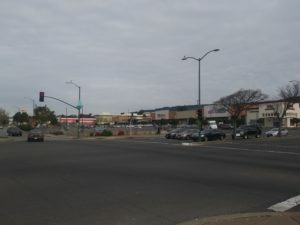 The transit center is the second largest to the Fruitvale TC, according to Wikipedia. 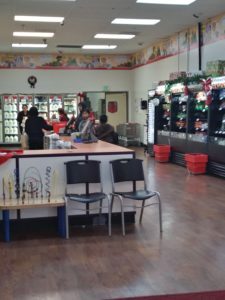 Fantasy Gifts and Cricket closed a few months ago, Subway and the city’s headstart pre-school program, last year. 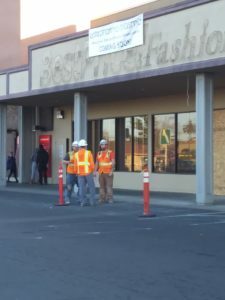 However, Octapharma Plasma has completed construction and should be opening soon. There, you’ll be able to sell your blood for research. Eastmont TC is owned by Vertical Ventures and managed by Cushman Wakefield. 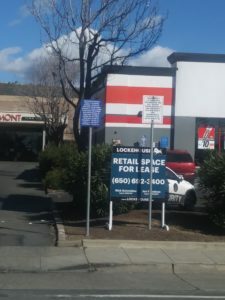 Lockehouse Retail Group is trying to find tenants. There’s a used furniture store a few blocks away on MacArthur, along with churches, laundromats and etcetera to get your needs met, so don’t fret it! I shared with you about the social services department, where you apply for government cash assistance, food, and/or medical insurance. They have two clothing closets, one for career, the other with general. I didn’t mention how the play and waiting areas outside are underutilized and announcements can be heard there. In addition, for jobseekers, they have two neighborhood career centers on the 1st floor across from the other. LAO handles their job search training and may assist you with purchasing a car, tools, uniforms or other job-related items. I then shared information about the WIC Program, where the government provides vouchers, to pregnant and breastfeeding women and children up to five, for supplemental foods such as milk, cheese, eggs, cereal, and formula. It can be used at PrimeTime Nutrition, supermarkets or drug stores, all at the center. Clients get nutrition advice, help with breastfeeding, and parenting classes too. For those who have once worked but can no longer due to a disability or retirement, there’s the social security office. Also nonprofit agency, Sparkpoint Centers, assists with job training and housing searches, creating budgets, and tax preparation. The city library is an additional resource for job searches, and borrowing books, CDs and DVDs. They have a large children’s area in the back with two rooms. 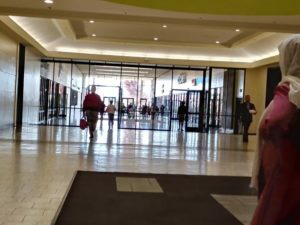 You learned about the different driving and walk-in entrances to the mall, on Bancroft Avenue, 73rd Avenue, and MacArthur Boulevard, on two floors. On the MacArthur Blvd. side upstairs, is the Wellness Center. On the 73rd Avenue side, 1st floor, is the behavioral healthcare entrance; other entrances include a few medical centers on both floors. The County Public Health Department has four offices at the center: Public Health Nursing, the Asthma Start Program, the Diabetes Program, and the WIC Program. North County Crisis Response Program alongside Lifelong Medical Center and Alameda Children’s Specialized Behavioral Healthcare Services, in Ste. 125, (A), provides medical and mental services to those referred from the ACCESS line at 1-800-491-9099. Telecare Changes is a mental health recovery company, while The East Oakland Recovery Center offers extended hours for substance abuse services. Both have outside entrances only. The Alameda County Social Services Dept of Adult & Aging Services handles conservatorships/administrators, advisory, protective, in-home supportive services, IHSS (caregiving), veterans, AAA, and ombudsperson service(s) in Suite #143. There’s a seniors day center, Golden Age Seniors on the second floor. These pieces really sell the Eastmont Mall. The array of services is impressive. The physical attractiveness makes me want to go walk around there. Thanks!